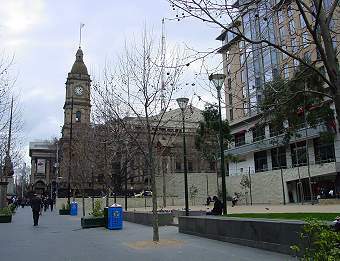 On the opposite side of Collins Street from the Town Hall is the City Square. It has undergone several revisions and is now a dry area that is little more than a forecourt for a private building. 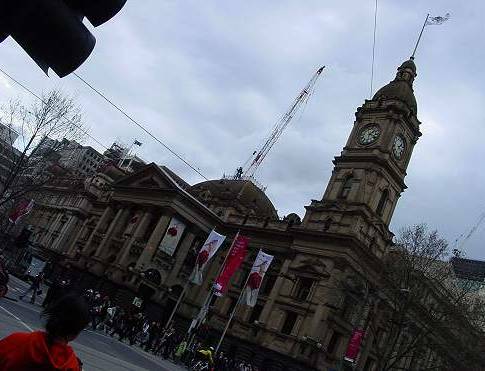 In 2001 Federation Square was opened as an alternative civic centre to the Melbourne town square (above).